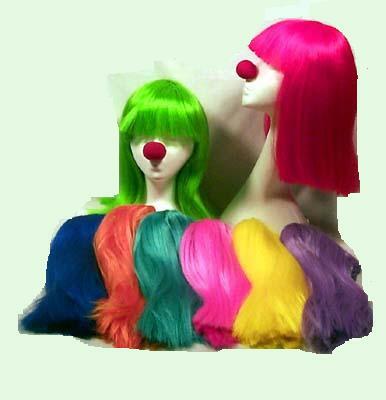 Shoulder length Cleopatra style wigs. Top quality, adjustable, one size fits all, in your choice of colors. Choose from: DARK BLUE, GREEN, PINK, PURPLE, NEON GREEN, ORANGE, RED, VIOLET, YELLOW.